According to a Taxify ad I saw on facebook you can make as much as R8 000 a week as a Taxify driver and according to this article on mybroadband one can make R4 000 - R9 000 a week gross income (I don’t know how much they spend on fuel and how regularly they have to service their cars because they are always in use). So if the guy making R9 000 a week is averaging R120 an hour and works 7 days a week that would mean he works almost 11 hours daily. That sounds about right hey, I don’t know how many uber drivers I have met who work the entire day especially during weekends and get minimal sleep before returning to the job just to capitalise on weekend demand for ubers. The guys making say R8 000 a week are making R32 000 a month, I don’t know how much profit because I don’t have their costs but that is still a lot of money to make especially if the driver is the owner of the vehicle. 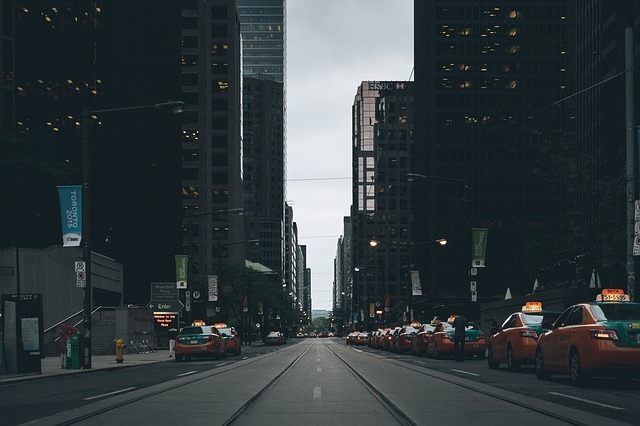 They are able to make so much money because the apps have made it easier for customers to find taxi’s near them at any time, gone are the days when you had to call a taxi company and a taxi had to come from the other side of town charging exorbitant amounts. You can now get a taxi within minutes at affordable rates, the Ubers and Taxify’s of this world killed the traditional taxi model, it is no wonder Uber drivers are being attacked in Johannesburg. 1. If I were a traditional taxi company with many Toyota Avanza’s and drivers I would register all my cars and drivers with Uber or Taxify, I am sure they would make more money than before the Uber era. You have to adapt or else progress makes you a dinosaur. 2. It seems like a good Idea to purchase a vehicle such as an Avanza, mobilio or even a cheap sedan such as an etios or polo vivo to start your own Uber business. You can buy it second hand just to start off [as long as it’s from after 2013] and after a while with the uber proceeds you would be able to qualify to buy another one and hire a driver to drive the second car for you. I am sure most people would be able to make more than they currently make at their jobs but they would have to work harder and longer hours. It hard to resist working longer hours when you know the potential income you are missing out on by having short days. In time you will be smart about it and find the perfect locations to be around at certain times of the day and during the week to maximise income. You don’t even have to quit your Job, you could hire a driver from the get go, and also drive during weekends or at night. As a side note I feel as if Uber and Taxify have boosted the sale of 7 seater cars like the Avanza, Mobilio and the Datsun Go+. The Datsun Go+ 7 seater is so cheap I saw an ad for it stating you can buy it for R126 900. To give an example, lets say you are from one of the big cities, Cape Town, Durban or Johannesburg and your parents are paying your fees but because you are middle class they are struggling to pay your fees because they have their own expenses and you are not the only child they have to take care of in terms of school fees, would it not be helpful (and a good idea) if they could buy a Datsun Go+ for example or another car from after 2013 which would cost around R130 000 so that they would be paying back around R2 800 a month plus insurance and register it as an Uber. Your older brother would drive the Uber if he is still staying at home or your parents could hire one of the unemployed boys from the neighbourhood with a drivers license to drive for them for a % of profits so that everyone benefits. (as a side note I have seen an older Mercedes being used as an uber, so maybe older cars can also be used you will just have to enquire with uber). 3. It’s difficult for students to find part time jobs and get extra cash but for those with cars that are not tiny hatchbacks (a student favourite) they can take advantage of things like Uber and make extra cash during the weekend, imagine working from say 12pm to midnight earning between R80 to R120 per hour that potentially R960 to R1 440 per day, even working just the weekend you could be making R1 920 to R2 280 per weekend excluding Friday. It’s hard to imagine that you would just want to work the weekends, you might end up working some nights if you are a hustler. [For the many students with polo vivo hatchbacks you should have asked the rents to get you the sedan but than again if your parents bought you a car you probably don't need the extra uber cash]. But even if you don't have a car Uber says you can still be an Uber driver, you just need a professional driving permit, pass a driving evaluation and some other steps you will read about in the link I have shared at the end of this post. (Please note: I have heard an Uber driver say that Uber does not want small hatchbacks as Ubers but I was in a Polo Vivo hatchback Uber this past weekend 27/08/17 so I am not sure whats what, you could enquire about that). 4. If I was a successful taxi owner with many minibus taxi's, I would buy a bunch of smaller cars and hire drivers to drive Uber or Taxify for me. Now I am also wondering if a minibus taxi would be permitted to be an Uber if it were sort of new, I can think of many occasions where my friends and I needed two XL's just to get to a venue. I have even seen a double cab Amarok used as an Uber so who knows hey. Please share this post and follow us on our social media channels or subscribe via email to always get the latest updates.